The Kellogg-HKUST Executive MBA program is carefully designed for busy executives. It only requires around 40 days out of the office. It includes 18 weekend and 2 live-in week modules in Hong Kong, a 10 day live-in module in Chicago, and global elective weeks in 6 partner school campuses around the world. 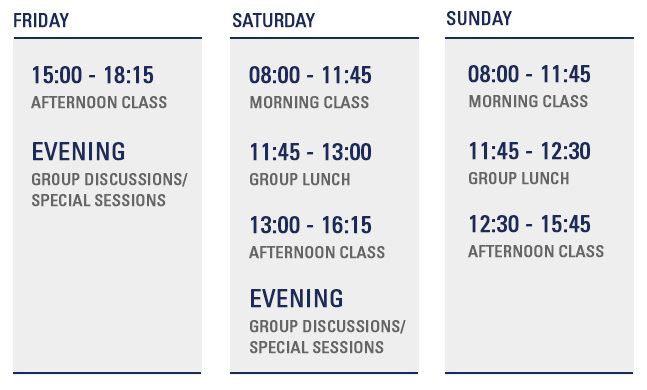 The class schedule is uniquely designed around weekend blocks to allow participants to continue their careers while they study. Program classes are held on Friday afternoons, Saturdays and Sundays. The first is held at HKUST in January of the first academic year, and the second at the Kellogg School’s Allen Center in Chicago, Illinois in August. Participants meet twice every month on the HKUST campus and stay in the Conference Lodge, which is specifically furnished for executives. Living-in is critical for the optimum development of class identity and the formation of study groups, while expanding business contacts and allowing friendships to develop. Participants also need to take at least two global electives at Kellogg partner schools abroad. The global electives are an excellent opportunity for students to meet and interact closely with fellow global students. During this global elective week, students choose courses at Kellogg partner schools and are divided into groups for assignments and projects. To encourage collaboration and engagement, the partner schools usually arrange a cultural tour to introduce students to the city. A total of 350 Executive MBA students are in this global network annually which reflects the true global network of the KHEMBA program. 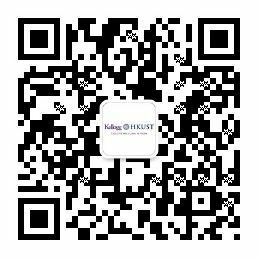 The benefits of a Kellogg-HKUST Executive MBA graduate will last throughout your career and lifetime. Through our alumni network, you will have connections to more than 130,000 graduates and an exceptionally responsive group of high-impact, low-ego leaders who hold top positions at some of the world’s most respected organizations. You’ll have access to a wide range of events and opportunities for broadening your professional network, sharpening your skills or socializing with other business leaders. 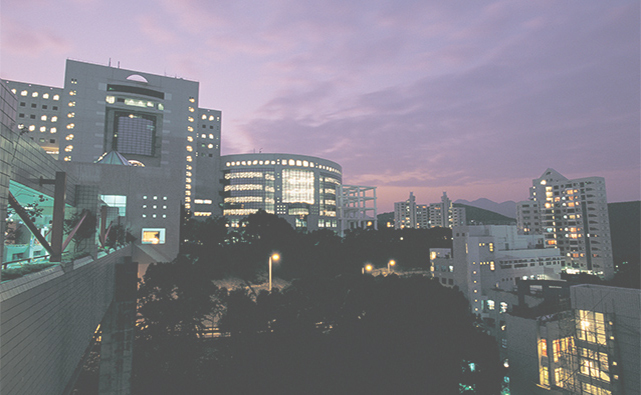 The Kellogg-HKUST Executive MBA Program values life-long education. As a graduate, you are invited to come back and audit courses for a lifetime. This exclusive benefit gives you unlimited access to top-tier faculty while expanding your knowledge or exploring new management topics, on any of our campuses in the Executive MBA Global Network. 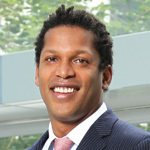 Partner at TPG Capital Ltd.